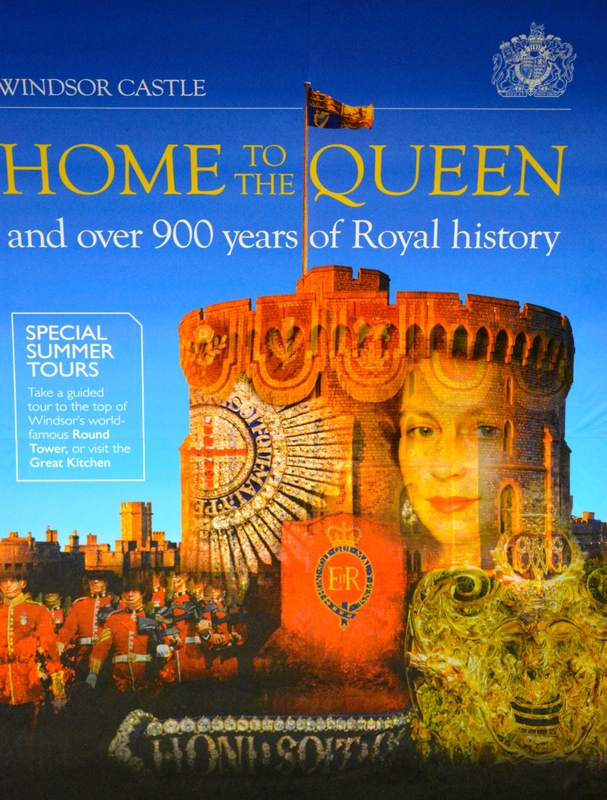 After spending a few days in London, I planned to meet two of my traveling companions from our recent Viking River Boat Cruise (see Viking River Boat Cruise) for a day-trip to Windsor Castle; so when I saw this large poster in one of the London tube stations the day before, I quickly snapped it. It seems to capture the importance of Windsor to the monarchy, and the importance of the monarchy to England. Windsor is located only twenty-five miles from London, due west of the city. The current town was referred to as “New Windsor,” since the original town of Windsor was located about three miles away. The settlement at Old Windsor largely transferred to the new Windsor during the 12th century, although substantial planning and setting out of the new town did not take place until around 1170. The town, along with Windsor Castle went through many stages of improvement, decline, and stagnation throughout its history. The substantial redevelopment of the castle and its use as Queen Victoria’s residence from 1840, as well as the coming of two railways in 1849, signalled the most dramatic changes in the town’s history. It catapulted the town from a sleepy medieval has-been to the center of the British empire. Many European crowned heads of state came to Windsor to visit the Queen throughout the rest of the 19th century. Unfortunately, excessive redevelopment and ‘refurbishment’ of Windsor’s medieval fabric at this time resulted in widespread destruction of the old town, with many of its historic buildings demolished. There are, of course, tour buses that travel to Windsor but we opted to take the rail from London’s Waterloo Station to the town’s Windsor and Eton Riverside station. 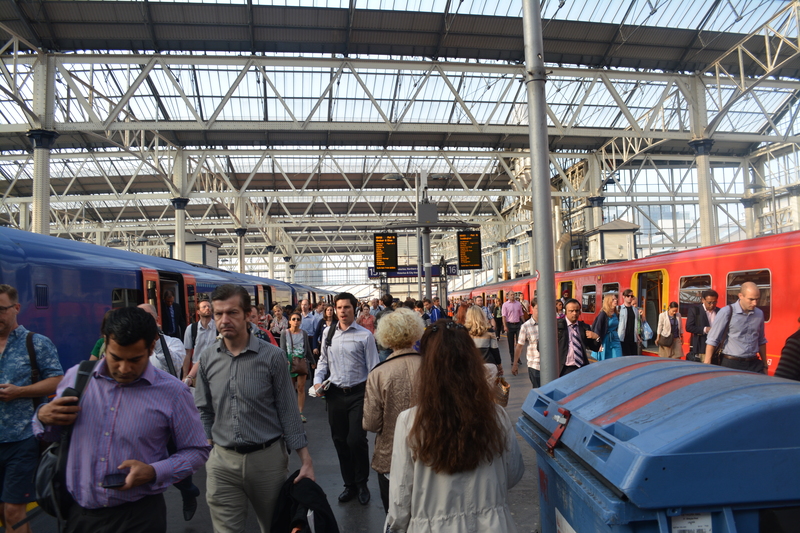 The trip takes about 55 minutes, but it is direct to Windsor and provides a nice glimpse of the English countryside. 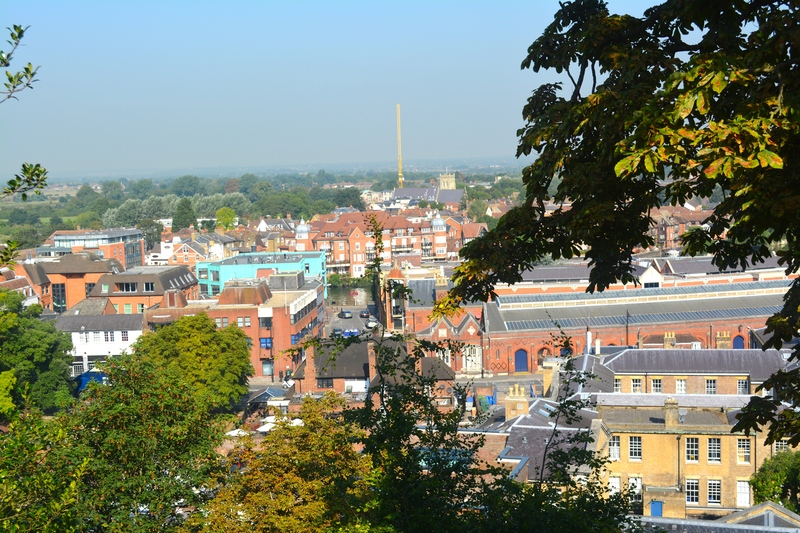 Windsor Castle is only a five minute walk from the the station, up the hill and around the corner, through the town of Windsor with its shops and restaurants. We had lunch in a small tavern behind The Crooked House of Windsor, constructed in 1592. Currently a restaurant, the building was rebuilt in 1718 with green wood, and stands at an obvious angle. It is reported that there is a secret passage in the basement, supposedly used by Charles II for illicit trysts, and for delivering produce from the market to the kitchens of Windsor Castle.